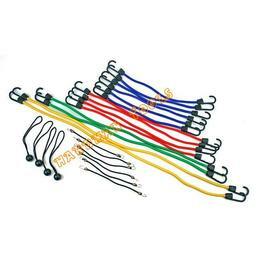 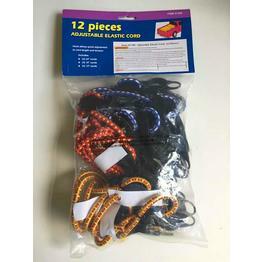 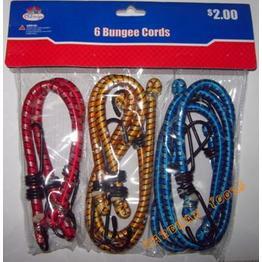 6PC Bungee Cords Set - Contains: 2pc 12", 2pc 18", 2pc 24"; - Rubber core with polypropylene braiding cord; - Steel spring hooks with protection caps; - 6pcs in polybag with header card package; - 10sets per inner carton, 40sets per mater carton. 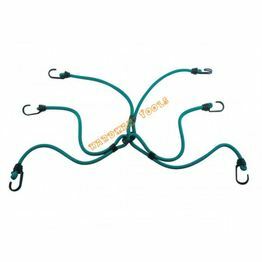 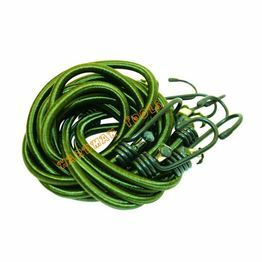 6 Arm Occy-Strap -9mm dia cord with Virgin Rubber material; -with double wire steel hook to add strength and avoid scratch; -Secure the cargo from different directions; -Water, UV & abrasion resistance. 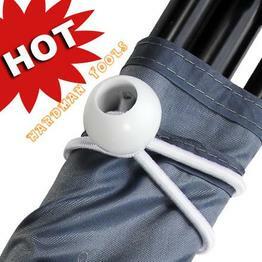 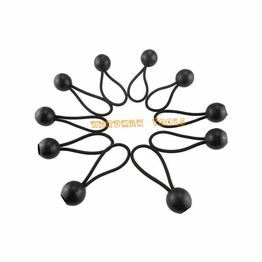 4“ Bungee ball with Black Elasticated Cord -100% virgin rubber threads for constant tension; -Polyester outer covering for strength; -Resistant to weather & UV, water, abrasion, rust; -Ideal for camping,tarps, canopies, outdoor activities.